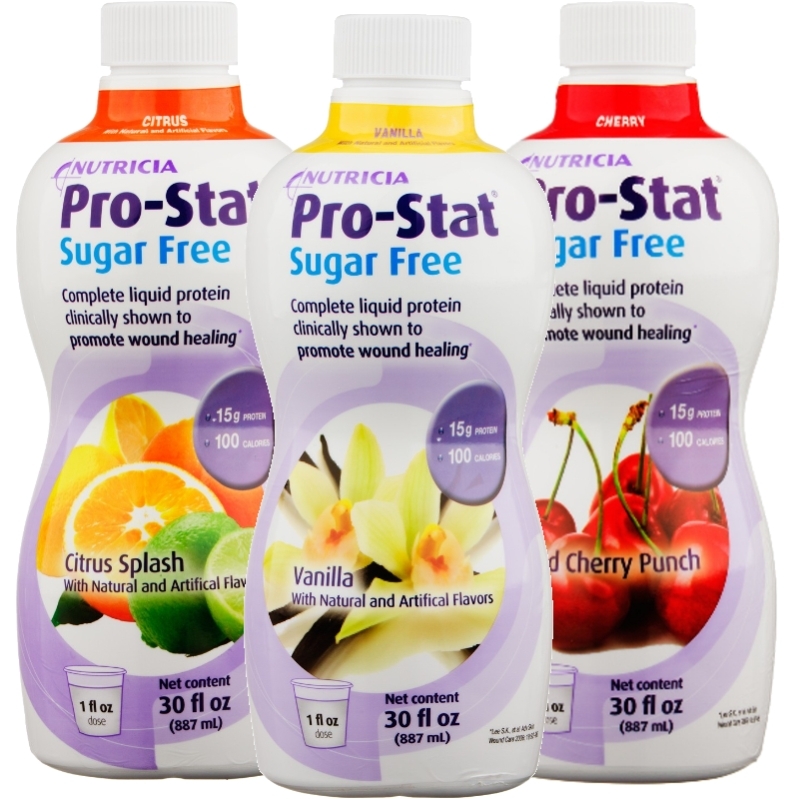 Pro-Stat Sugar Free is a fast absorbing liquid protein supplement that contains 15 grams of protein and just 100 calories per 1 oz serving. Prostat Sugar Free is indicated for pressure ulcers and wound healing, unintended weight loss, poor appetite, bariatric surgery, hypoalbuminemia, and those that are nutritionally at risk or dialysis and fluid restricted. This liquid protein supplement can be taken orally by itself, or it can be mixed with other foods or beverages. It can also be taken trough a feeding tube. 3 flavors available.